Halliwell's Film Guide, for many years the standard UK film guide, died an undignified death with its The Movies That Matter edition in 2008. Its rivals, including the Virgin Film Guide (which featured longer reviews) and Elliot's Guide To Films On Video, were much more short-lived. 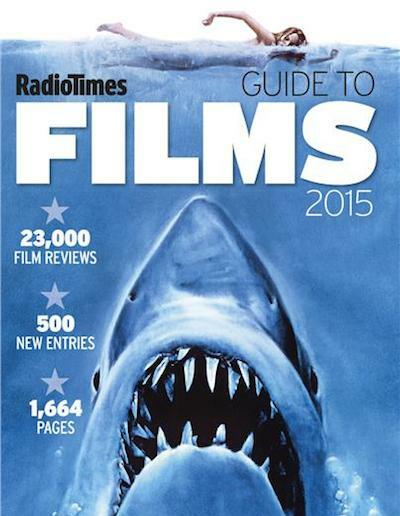 The Time Out Film Guide (more opinionated and less mainstream) was cancelled in 2012. In America, Leonard Maltin's annual guide was split into separate Classic and Modern editions, and will no longer be printed at all after this year. VideoHound's Golden Movie Retriever is still published annually, though it cuts more entries each year and is limited to films released on video. Radio Times film reviews are all available online for free (as are Time Out's), so it's surprising that their annual Film Guide remains a viable proposition. The cover illustration - the poster for Jaws - perhaps indicates (like the Fistful Of Dollars cover from last year) that the book is aimed at an older demographic which has not yet switched over to online sources such as the IMDb. There are precisely 23,099 entries in the new edition, including 547 new films; last year's edition contained 23,068 entries, thus there have been almost as many deletions as additions. In a spurious attempt to appear as up-to-date as possible, the Film Guide includes previews of forthcoming films, which are then rewritten as reviews in the following year's edition. This year, there are eighty-seven previews, which presumably will be converted into reviews for the 2016 edition. The new reviews this year include Noah ("an impressive spectacle"), The Hobbit II ("dramatic tension comes in fits and starts"), and The Wind Rises ("older viewers and fans will be enchanted by this modest entry in Miyazaki's canon"). Martin Scorsese's The Wolf Of Wall Street receives a five-star review ("an exhilarating story of decadence and debauchery", as does Gravity ("breathtaking"). The Radio Times Film Guide had a little-known predecessor: the Radio Times Film & Video Guide, written by Derek Winnert and published in 1993 and 1994. It was pulped, and Winnert was dismissed as Radio Times film editor, after a plagiarism lawsuit from the publishers of Halliwell's.